The U.S. Supreme Court ruled unanimously on March 20 that law firms conducting nonjudicial foreclosures, or foreclosures outside of the court system, are not generally considered debt collectors under the Fair Debt Collection Practices Act (FDCPA). 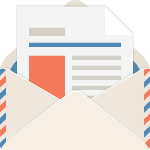 The decision in Obduskey v. McCarthy & Holthus LLP addresses an important federal advocacy priority for CAI. 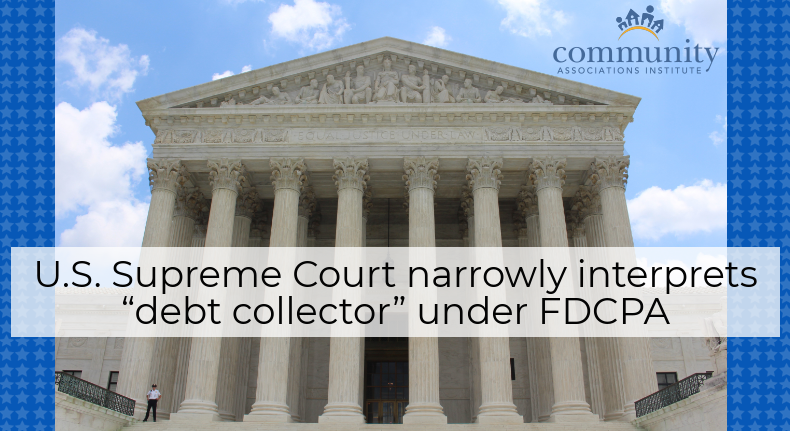 Enacted in 1977, the FDCPA protects consumers from abusive debt collection practices and has become one of the most heavily litigated statutes in the country. In recent years, FDCPA litigation has negatively impacted the ability of community associations to recover delinquent assessments through foreclosure. CAI’s public policy, Foreclosures by Community Associations to Collect Delinquent Assessments, strives to protect the financial well-being of community associations and association homeowners by advocating for balanced and responsible laws that allow associations to collect delinquent assessments through a variety of means, including foreclosure. When repayment plans, negotiations, and other efforts fail to resolve assessment delinquencies, CAI supports the right of associations to recover delinquent assessments through foreclosure. Seeking to avoid or delay lawful association-initiated foreclosures, some delinquent homeowners have sued association attorneys, alleging violations of the FDCPA in nonjudicial foreclosure proceedings. To restore balance in lawful nonjudicial foreclosures, CAI has supported federal legislation, such as the Practice of Law Technical Clarification Act, that preserves consumer protections while permitting association attorneys to pursue bona fide foreclosures. The court’s opinion in Obduskey protects association homeowners from the harms of delinquent assessments, allowing association attorneys to proceed with lawful foreclosures. This decision is a win for community association law firms seeking to commence nonjudicial foreclosure proceedings. Although the decision is limited to the applicability of the FDCPA to law firms that engage in security interest debt collection, it is helpful to those firms that simply follow their state’s laws to enforce security interests and affirms that their state’s laws are not inconsistent with the FDCPA. Only time will tell how narrowly the lower courts and attorneys interpret this decision and whether it exempts law firms or other entities from the FDCPA unless nonjudicial foreclosure activity is the only activity they engage in.